With Thanksgiving behind us and Hanukkah underway, the holiday season has officially started! 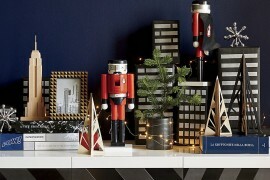 It’s never too early to start thinking about changing up your décor to reflect the season. If your family celebrates Christmas it’s time to plan your Yuletide cheer. One tradition many hold dear is the opening of the advent calendar. If you’ve used the same calendar for years, it may be time for a new source of holiday memories. If you’ve considered using one before but never took the plunge, fear not! 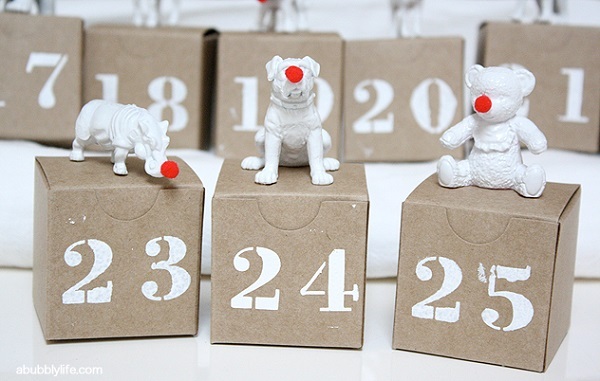 Whether you’re an advent calendar pro or novice, these DIYs will give you some creative guidance. 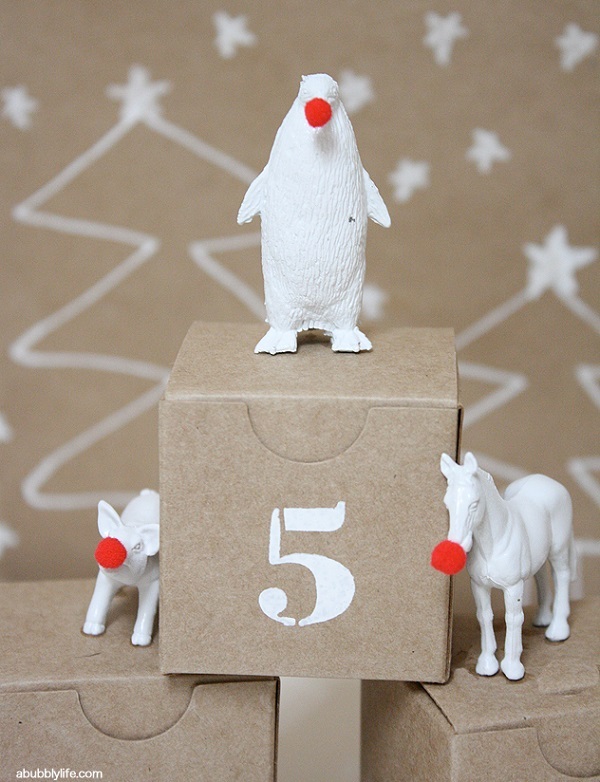 Laurel of A Bubbly Life created a wild Christmas countdown using plastic animal toys from a thrift store. 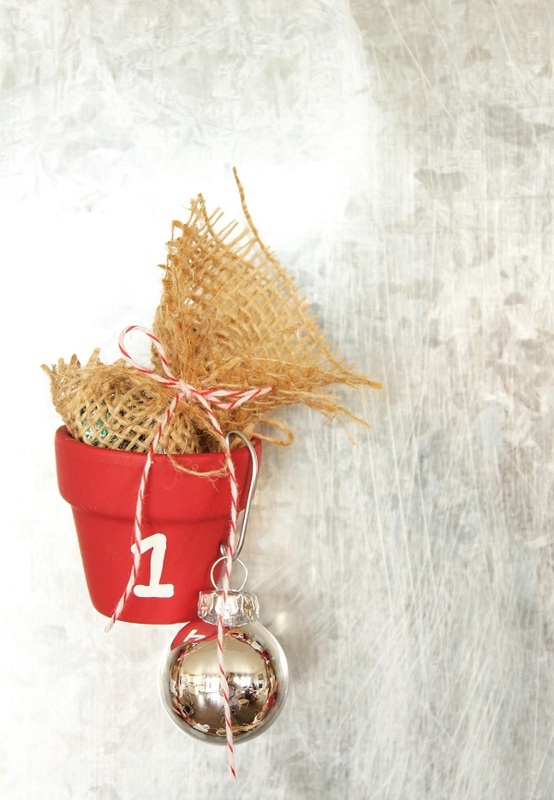 A few coats of white spray paint with a built-in primer and cute pompom nose turns this whimsical DIY into the perfect holiday décor. Cover a few figures with glitter for a glamorous touch. Bonus DIY: these boxes would also make great party favors. 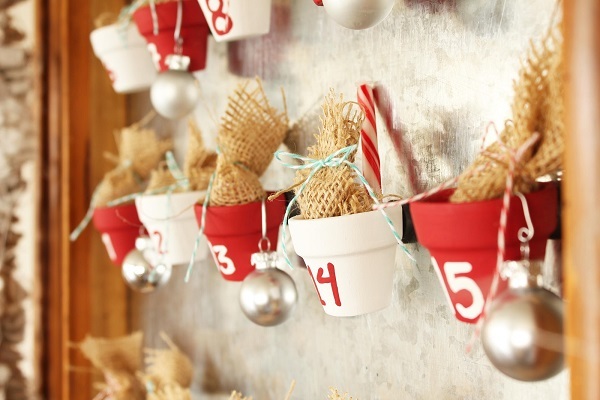 Fill with holiday candy or small treats like macaroons to give to your guests. 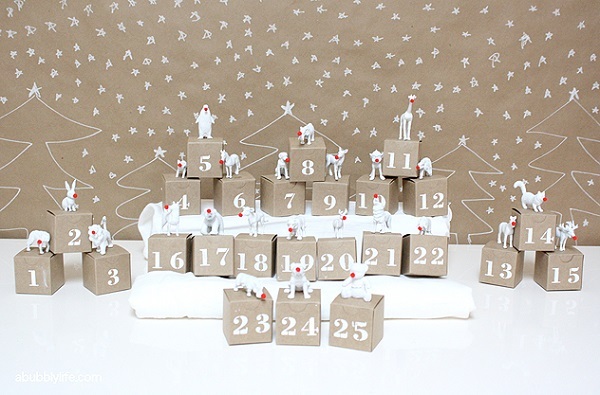 Marie-Laure of La Maison de Loulou made a calendar that balances delicate details with resourceful design. Cardboard jewelry boxes get a second life with this clever DIY. For even more festive flair, line each box with decorative scrapbook paper. 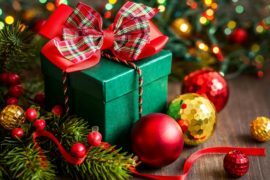 If you don’t have any jewelry boxes on hand, visit your local dollar store’s gift wrapping section or make your own out of cardstock using a free template online. 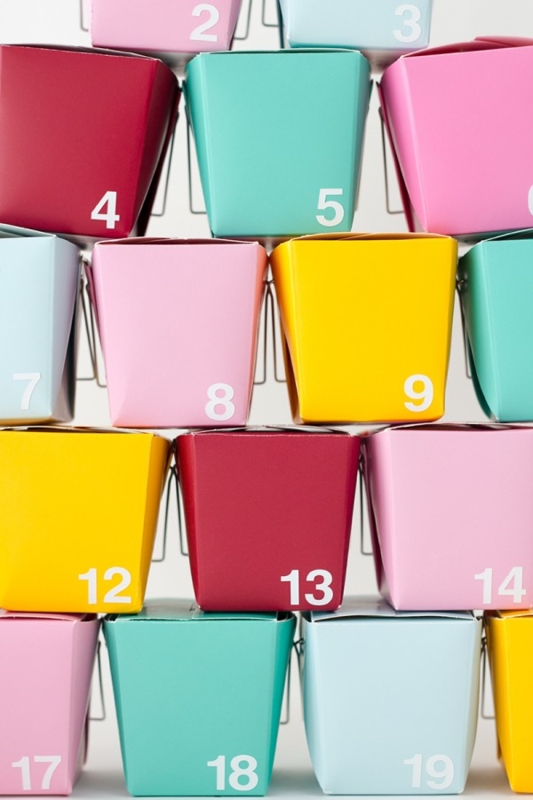 Twig & Thistle’s tin storage calendar is a great project for the DIYer who wants options. The magnetic backing allows you to rearrange your calendar as you remove the days. Plus they’re perfect for hiding some sweet holiday treats! Once Christmas is over, repurpose these tins until next December. 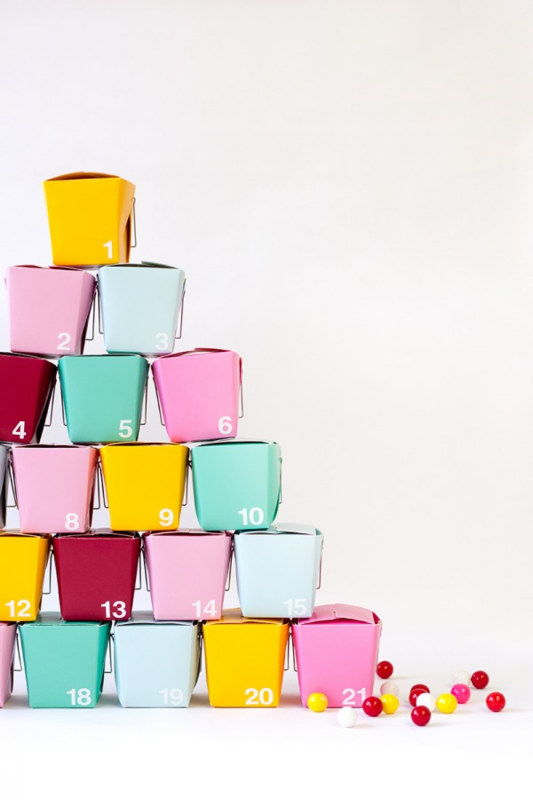 The small containers are ideal for organizing office items such as paper clips and thumbtacks. 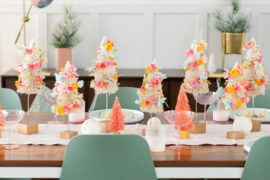 If you’re a fan of bright color, this DIY by Kelly of Studio DIY is for you. 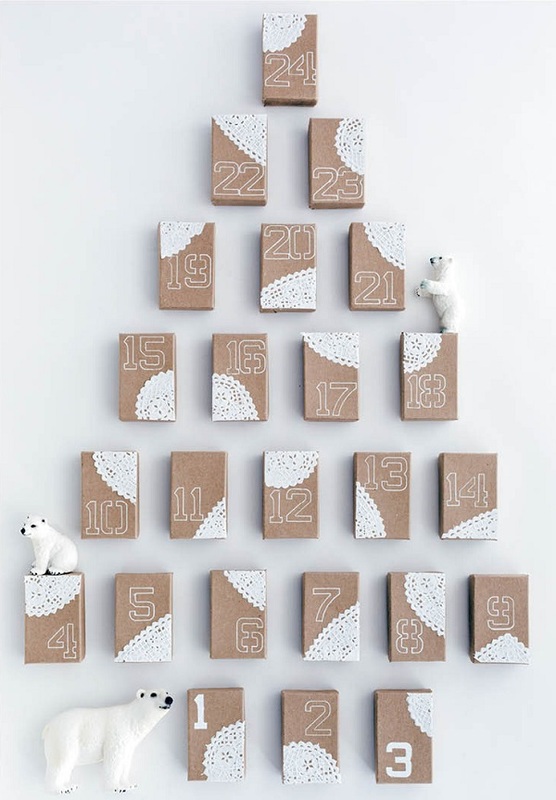 The takeout box advent calendar is a huge departure from the traditional red and green color scheme. The flat cardboard surface provides a way to incorporate some high-impact typography. Play with different fonts and sizes for a fun, eclectic look. For added personalization, assign family members specific days to open the calendar by printing their names on one side as well. Though these clay pots used by Alix of A Ruffled Life are small, they pack a huge décor punch. 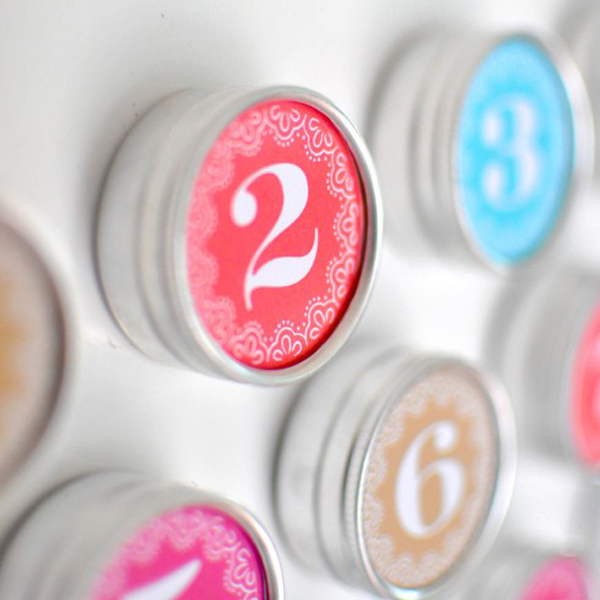 Use a paint pen to stencil dates on the sides, or coat in chalkboard paint and use chalk to number. 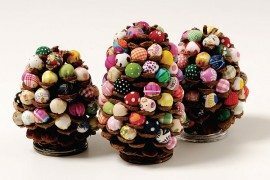 To prevent curious eyes from seeing the treats inside, conceal them in a square of burlap or printed fabric and tie with a small piece of string or ribbon. 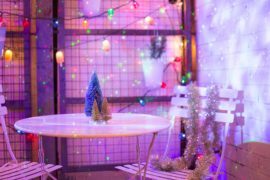 With the right DIY holiday décor, you can create family memories that will last a lifetime. 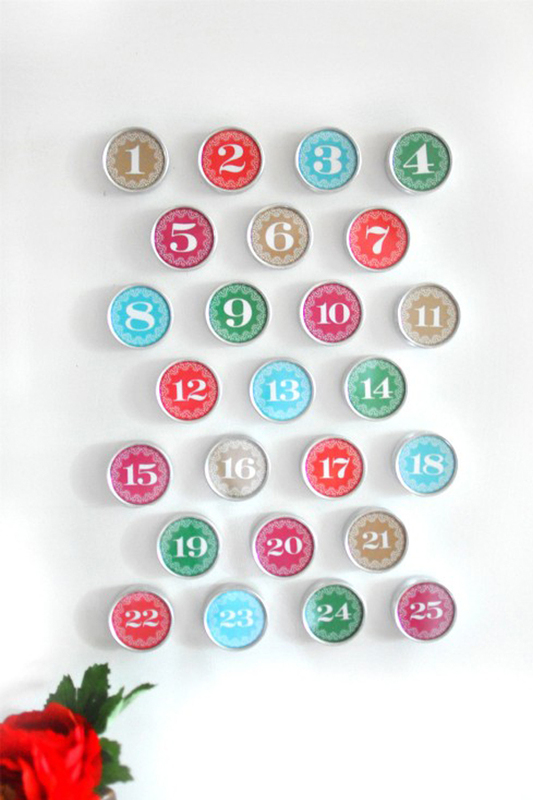 An advent calendar can be just one part of the many special moments you spend with your loved ones this season. 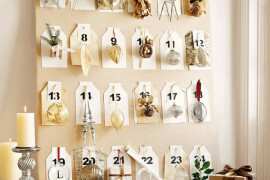 Are advent calendars part of your holiday traditions? Let us know in a comment below. 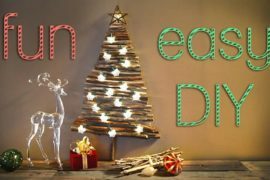 15 Festive DIY Gift Box Ideas for a Personalized Christmas!